Mutiara Seputeh is situated on a 15 acres undulating land, atop a cool hillock in the prestigous residential area of Bukit Seputeh. 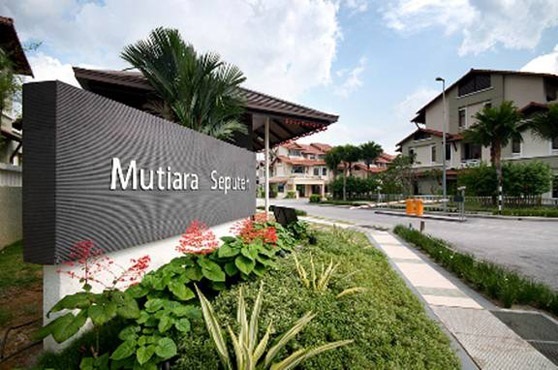 Mutiara Seputeh offers a total of 80 units of 3 storey semi-detached and 13 units of 3 storey bungalows. Far from the maddening crowds and traffic snarls, Mutiara Seputeh Elevated Residences embodies the sheer tranquility of hilltop living. Built on elevated ground amidst breathtaking hilly surroundings, this prestigious residential enclave of semi-dees and bungalows is just minutes away from the Mid Valley Megamall and the KL city centre. These elegant 3-storey bungalows convey a resort style ambience integrating unrivalled luxury, comfort and distinctive style.